The Festival's opening featured brewery is Browerij De Brabandare - founded in 1894 is now in its fourth generation of family ownership. Their Wittekerke wit beer is one of their flagship beers along with Bavik Super Pils but it is their aged foeder ales under the Petrus brand that are really taking off for sophisticated craft beer enthusiasts. 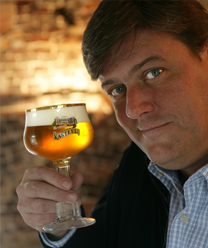 Fifth generation owner Xavier Van Honsebrouck will open the 2015 Ashley's Belgian Beer Festival. Their brewery is best known for their Kasteel line of award winning beers and their spontaneously fermented lambics under the St. Louis label. Xavier will be joined with his Brew Master Hans. Brouwerij Van Honsebrouck is a member of the Belgian Family Brewers. Members of this non-profit organization are Belgian breweries that have been brewing beer continuously for at least 50 years in Belgium. Together they represent 15% of the Belgian beer brewers, with a total of 1500 years of experience in brewing beer the traditional way. 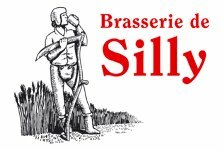 Marc Lemay of Brasserie Dubuisson of Pipaix, Belgium will be traveling in to visit with guests on Saturday February 15, 2014 for those who have a special dinner featuring their beers. Dubuisson, the maker of the Scaldis line of premium Belgian beers, has been brewing continuously since 1769—before Belgium was a country and longer than the Trappist breweries. Dubuisson is a shining example of the civic brewer and proud protector of the tradition. Hugues Dubuisson is the eighth- generation family member to direct the business, which is thriving. U.S. sales increased at twice the rate of the dynamic domestic craft beer rate. Both Peche Mel and Scaldis earned Gold medals in World Beer Championships this past year. Prestige has maintained perfect 100s on RateBeer. Dubuisson is in the hamlet of Pipaix, just outside Tournai and in the heart of French-speaking Wallonia. The province where Scaldis is brewed is called Hainaut. The word means “land of groves” and indeed it is the richest agricultural province in Belgium. “Prestige de Nuits pours a deep amber red with a lovely cream-colored head. The beer we sampled had lots of small dregs floating about the glass, but it had recently been in John’s car, so things were stirred up a bit. This wouldn’t have been an issue if we had let sit for a while before opening, but none of us wanted to wait. Can you blame us? The nose is a bit sneaky on Prestige de Nuits, as it reveals only a small part of the beer’s true character. You get a bit of the Burgundy from the barrel, as well as some cherries, a waft of toffee and hint of alcohol, but it doesn’t really prepare you for the rush of flavors that follow. Take a sip and this beer makes an immediate impression on your palate. The flavor starts off very vinous and slightly sour, evocative of port wine and dark dried fruits. These wine-like characteristics give way to richer notes of chocolate and cherries, with a little oaky vanilla and just a hint of spice dancing in the background. Trust me, your toes will curl in pleasure. As this rich middle recedes, you’re treated to a sweet and dry finish, with flavors of red raspberries and slightly tart grapes. Prestige de Nuits warms your chest as it goes down, but you wouldn’t guess this beer is 13% alcohol by volume, as the booziness is very well masked. Dubuisson is a member of the Belgian Family Brewers The members of the non-profit association are Belgian breweries which have been brewing beer in Belgium for at least 50 years non-stop. 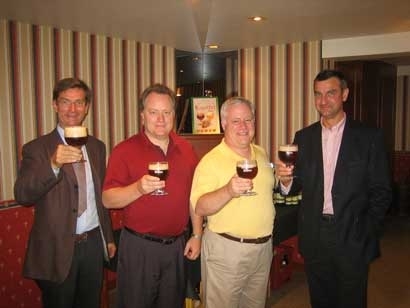 Together they represent 15% of Belgian brewers, with a total of more than 3,500 years of experience in traditional beer brewing. Makers of the Troubadour line of award winning beers. Stefaan and Kristof are both graduates of Belgium's premier brewing college KaHo St. Lieuven in Ghent. They will be visiting with guests at several events during the Festival to talk about all things Belgium, their beers, and brewing. We partnered with fellow beer fan Erik Smith who manages express package delivery by day but shoots fantastic pictures at night to try and capture some of the feel of the festival in pictures. Let us know how you think he did. You can find his album, nearly 200 pictures, from the festival on Facebook. Erik also maintains an active travel blog that has several photo reviews of events at the 2012 Festival. This includes the opening Trappist Beer Dinner and the Lambic Blending Seminar. Enjoy. We sure did. Our expert photographer Erik Smith polished up the video on this year's featured brewer. The featured brewer for the 2012 Ashley's Belgian Beer Festival is Brouwerij Van Eecke of Watou, Belgium. Van Eecke is a family owned brewery that traces it origins back to 1629. We previously blogged about our visit with the brewery. We met with the owners & brewmasters Hendrik and Philip Leroy - the seventh generation of the brewery's current owners. As some background on their Kapittel abbey beers we shot a video interview with Pete Larson of Global Importers. We hope you enjoy it. Note - we are an authority on beer, not video so no critiques on production quality please. Although now that I think about it we should have done multiple takes so as to drink more of their great beer. 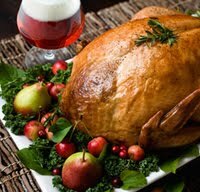 A local columnist at AnnArbor.Com is out with a beer pairing article for Thanksgiving. He brings up a good point which we've long advocated with our guests: that beer pairs better with food than wine. Beer may actually be more food-friendly than wine is. Winemakers, after all, have one ingredient to play with: grapes. Two, if you count wood barrel–aging. Beermakers, on the other hand, can experiment with barley (which adds sweetness), hops (which provide bitterness), yeast (which lend that characteristic "bready" flavor), as well as spices, nuts, chocolate, fruits, and vegetables. Appetizers: He mention's Saison Dupont but another option could be Bavik's Wittekerke or Wittekerke Winter White or Kapitel Blonde (a single Abbey Beer). Dessert: VSB's Gulden Drak would be stunning with any chocolate desert or cherry pie or Bavik's Petrus Dubbel Bruin would also complement a sweet dinner ending.